Unique 3D portfolio slider in this One Pager for digital agency, Convey Interactive, from Hamburg. Hamburg based design agency Convoy Interactive wanted to create a portfolio website that is as simple and as easy accessible as possible. 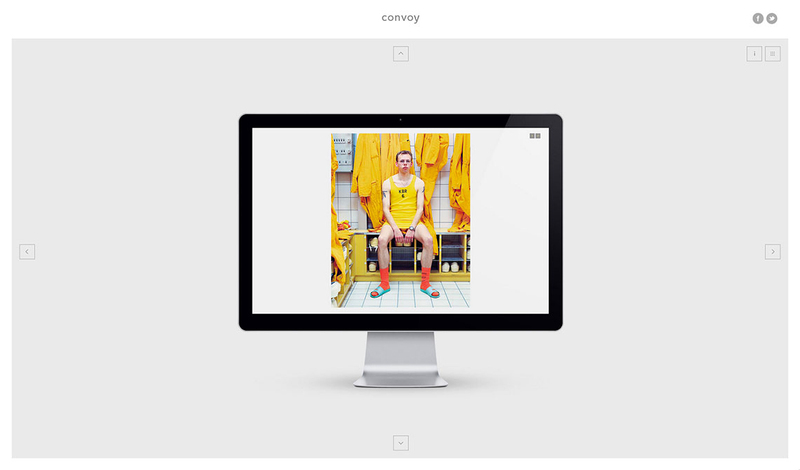 Focusing solely on Convoy's work, the website works as a framework for the displayed projects. Additional content, such as profile and contact information, is placed on a semi-transparent layer, directly upon the projects. Navigating through the site is very intuitive, buttons and navigation elements only appear if needed. The smart 3d effect when switching from one project to another gives the site an additional twist. It's understood that the website is based on an responsive approach.